Convert 3gp to Mp3 automatically. 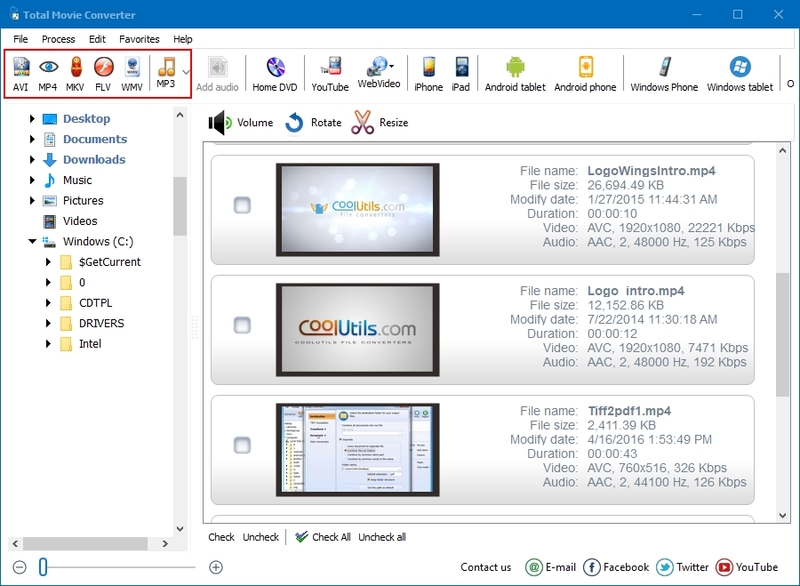 You are here: CoolUtils > Total Movie Converter > Convert 3gp to Mp3 automatically. Extracting audio track from 3GP video file is possible by converting 3GP to MP3. 3GP is widely used as a video format for mobile gadgets. This media container is suitable for storing video, audio and text data. By exporting 3GP files to MP3, Total Movie Converter extracts the audio track encoded into a source file making it suitable for playback in various hardware and software players. You can choose a samplerate from 8 to 48 kHz, bitrate from 32 to 320 kbps, and switch between mono and stereo channels. This helps you to get the exactly required quality of sounding when you convert 3GP to MP3. The process of conversion is very comfortable thanks to handy graphic interface. No pop-up navigation windows, the source files are chosen right in the program window. You just need to press on the required folder and the list of its files will be displayed in the content list. There you just need to select source files by checking them off. All checked files are included in the source batch that will be further converted to MP3. After you chose all sources, you need to press MP3 button in the format bar. You will see the settings window appeared offering you to adjust the output format of MP3 copies. You can set this movie converter process files by default settings or define different conversion parameters manually. In both cases you will get high quality MP3 tracks. If needed, you can reduce sample and bit rates to cut the file size. Thanks to manual settings you can find the balance between preferred size and quality. Start converting videos to audio files right now – download Total Movie Converter in licensed or free trial version. Convert Video for iPad automatically. How to convert SWF to AVI easily? How to convert SWF to FLV efficiently? Convert SWF to MP4 without any problems. 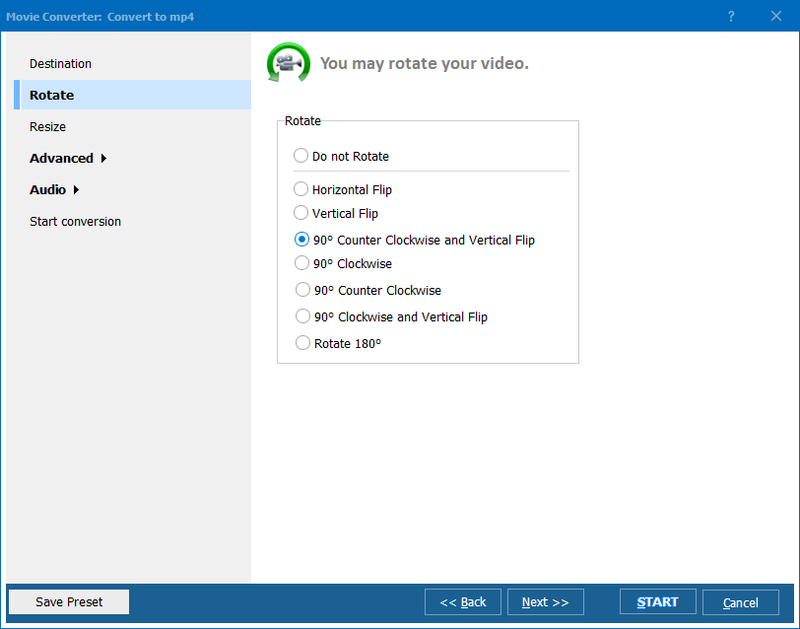 How to rotate Video with Coolutils? How to rotate AVI in 3 easy steps? Who needs MOV Converter and why is it needed? Get MKV Converter for less money. It really works!